Well – I’m off on my jollies now but don’t worry – I’m leaving you in safe hands! In this first guest post, Emma from bunnypudding takes you on a journey through time where she reveals her favourite historical fashion figures. It’s Emma from over at bunnypudding where I mainly blog about historical fashion, feminism and memes. I am so excited as to be doing a lil guest post here, so please be gentle with me! 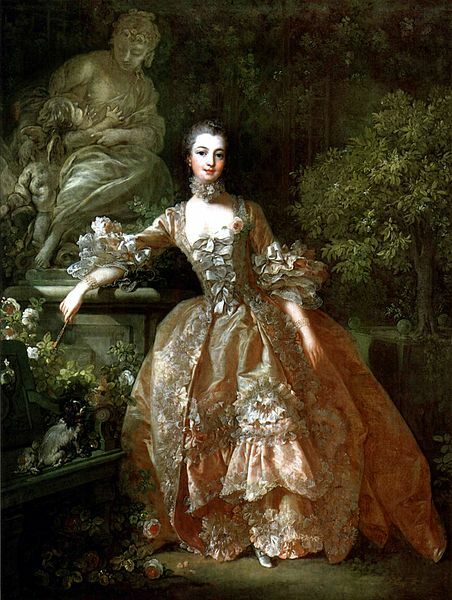 Today’s topic is about a few of my favourite fashionable gals from history, because you know, history may be written by the winners but great style cuts through all the lies! I’ve tried to avoid the usual ones – Jackie O, Queen Elizabeth the first etc so sit back and allow these women to dazzle you! She didn’t have six fingers, but she may have had an ever so slight hint of an extra nail on her little finger. She didn’t have a huge mole on her neck. In fact all three of these myths were created by the same man a quarter of a century after her death (typical, huh?) but one myth that is true about Anne is that she dressed to impress. 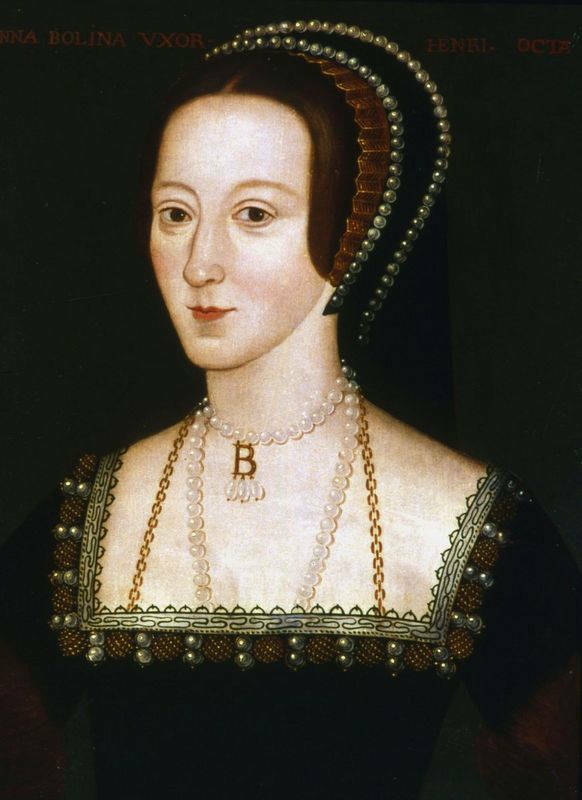 Having been trained in the French court, she learned very early on how to power dress which gained her the eye of the king, which was rather nice as she wasn’t a beauty for the time period,as typically, the Tudor’s preferred blonde English roses. Even on her execution day she dressed extremely well, and this was commented upon ( grey dress and red petticoat if you’re curious) and she certainly didn’t cry or make a scene like THAT scene in The Other Boleyn Girl (I forgive you Phillipa Gregory but I won’t forget). In fact she was praised for her dignity and bravery. Atta gal, show the boys how it’s done. Jeanne Antoinette Poisson (yes, as in fish) came from very humble beginnings, add to that the fact she had a mother with a “questionable” reputation for the time, especially as no one actually knew who Jeanne’s father was, and you can see how she was kinda against it. As luck would have it though, life bestowed upon her two things – extreme beauty and an even more furious intelligence. Long story short these traits eventually led to her being the King Louis XV mistress and “the uncrowned queen of France” from 1745 to her death. Unlike other royal mistresses, she was very respectful of Louis’ Queen and did many, many fabulous things for the French government. On top of this she dressed AMAZINGLY well. Unfortunately, this was also expensive, but again as luck would have it she was born in the right time, as what she spent on clothes in two years was more than the next generations fashionable lady about court – the ill fated Marie Antoinette, spent in her (short) reign, this didn’t save Marie’s head though, times, like fashions had changed in France, and her shoe obsession wasn’t considered cool anymore and so they chopped off her head, yikes! Jeanne also met a tragic end and died young at the age of 42 in 1764. Josephine wearing her famous “banana skirt”. Work it girl, work it! Original image here. Oh where do I start? This woman just owns it. Black history heroine and well, historical heroine to many, including me. American born Josephine was not only a singer, actress and dancer in 1920s Paris but she was also a spy, activist, especially in the American civil rights movement, and queen of everything. 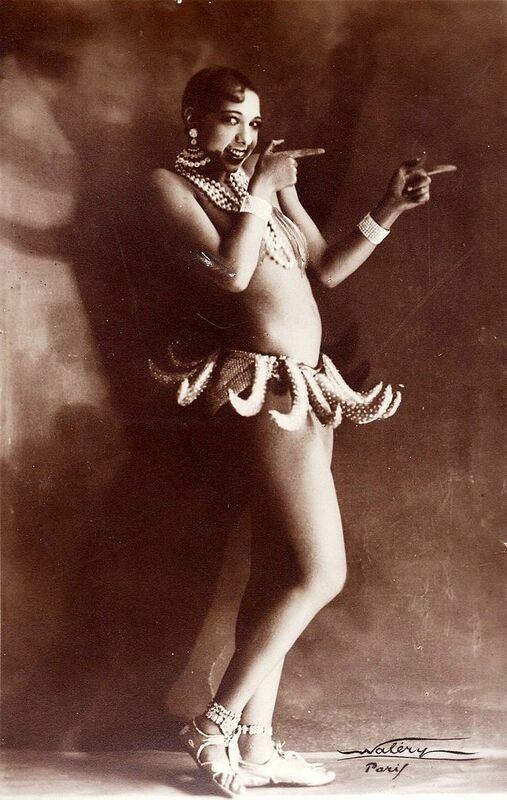 Earning the titles “Black Pearl,” “Bronze Venus” and even the “Creole Goddess” she was viewed as “exotic” which allowed her to wear daring stage outfits that most “modest” white performers wouldn’t have got away with…well ok, Mata Hari did but she was appropriating a culture, not living it’s bigoted negative aspects every. Darn. Day. She even turned down the offer to lead the American civil rights movement after Martin Luther King was assassinated. As her adopted children (oh yeah, she had a HUGE heart as well…) said: “we’re too young to lose our mother”. The original American flapper! Zelda was married to F Scott Fitzgerald and was pretty much his muse, with Daisy from The Great Gatsby being based on her (hey, I never said these women were all upstanding moralistic sorts! They just look darn good) along with many other heroines in his books. Zelda came from a very wealthy family and was one of the original “bright young things”. Whilst she had a fabulous time in her youth, the roaring twenties took their toll on her and, unable to get a creative identity of her own, she went into a downward spiral of addiction made worse by an alcoholic husband and misunderstood approaches to mental illness. Zelda was in and out of sanatoriums being treated for schizophrenia (most likely misdiagnosed manic depression, the poor thing) until her death in a tragic accident on 10th March 1948, when a fire broke out in the hospital kitchen where Zelda was staying. She was locked into a room, awaiting electroshock therapy. Nine women, including Zelda, died. Phew, well I hope you enjoyed my little run down! Make sure to let me know below any of your favourite historical fashionistas, as I love finding out about new people!